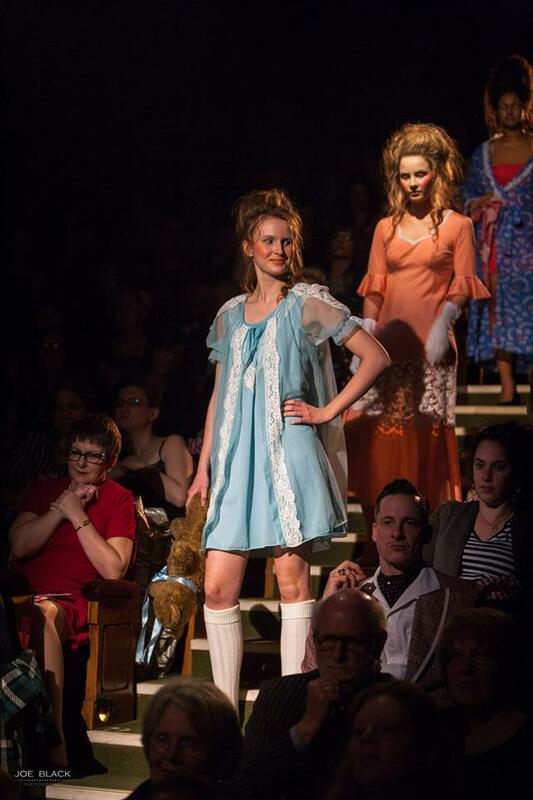 Continuing my stroll down memory lane re Norwich Fashion Week…having looked back at 2011 & 2012 when it all began & then 2013 when I got more involved, it’s interesting to see how things moved on in leaps & bounds for 2014! 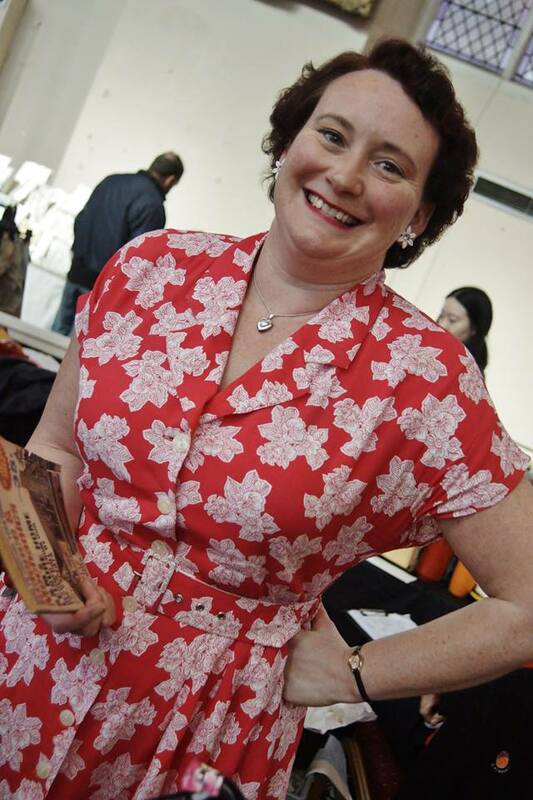 For this year, Fabulous Miss K wisely dropped the idea of running a vintage fair in favour of dedicating her time & energy to a bigger & better Vintage Fashion Show – as luck would have it though, the Norwich Fleamarket as run then by Helen Leith fell on the Saturday of Fashion Week! 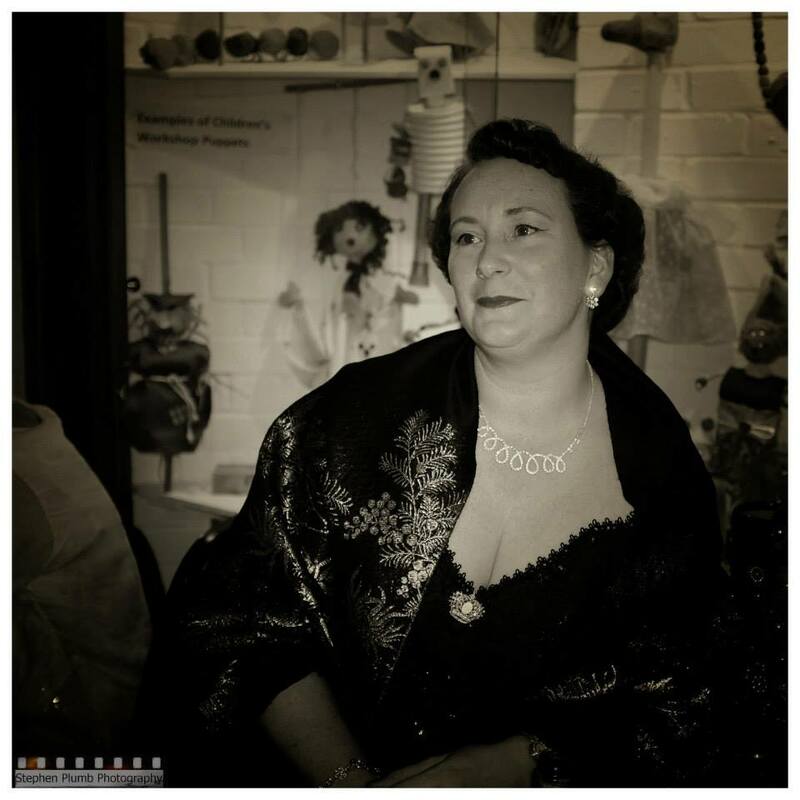 Helen decided to make this one a ‘Fashion Special’ with more clothing stalls than usual & a special fashion show featuring vintage items from the SAMs In The City Charity shop. Happy to be here! Love this one of me from David Stebbeds, I’m not good at doing a ‘photo face’ so you have to snap quick to get a natural smile! 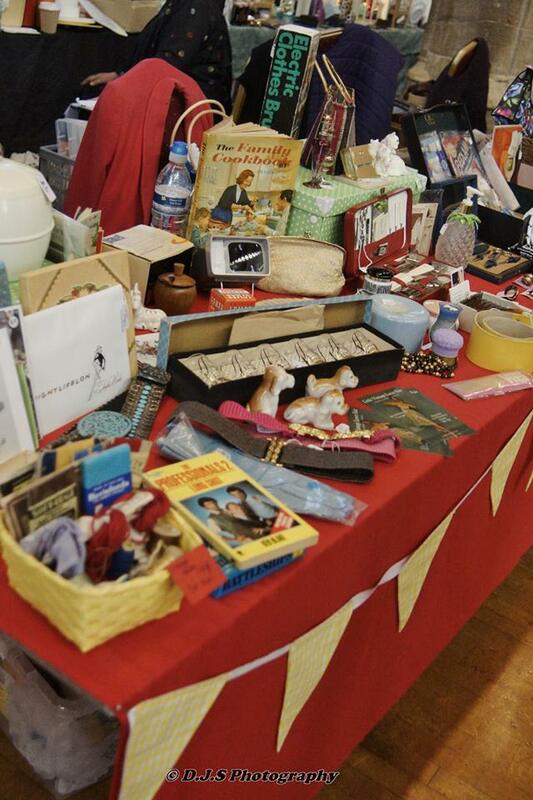 Then, onto the Vintage Fashion Show itself! This year the theme was ‘Vintage Avant Garde’ & as usual there was a promo shoot before hand which involved handing over some precious stock & letting photographer Joe Black do his thing, resulting in one of the most sizzling shots featuring my nightwear ever!!! Still one of my all time faves, featuring Heather Spanton in my lace robe (only very recently sold to the gal at Dizzy Miss Lizzy’s) together with Jake Watson. 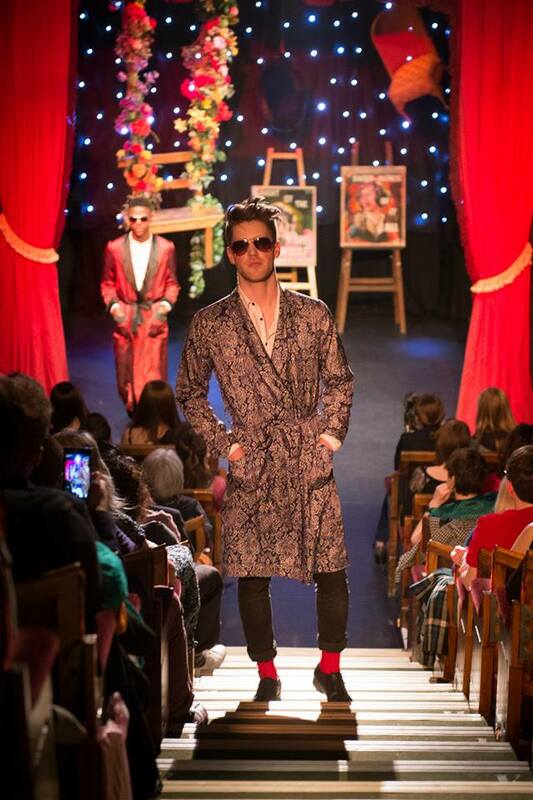 I confess I was nervous about this fashion show, VERY nervous….to be held at the historic Puppet Theatre in Norwich this was a much bigger deal than any fashion show I’d taken part in before, would my stock stand up against the ‘proper’ dealers? 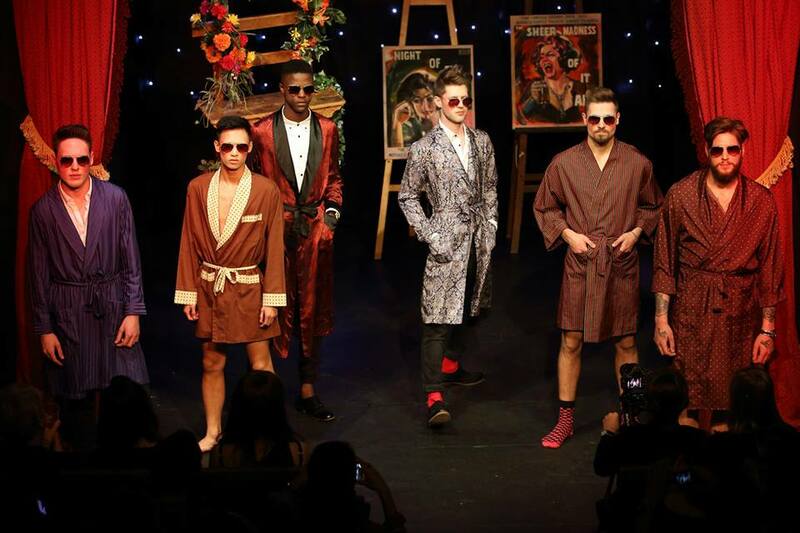 I spent ages picking out my collection of women’s nightwear focusing on showy robes with ribbons, ruffles & lace & at the last moment, I was invited to enter some men’s wear too, I was happy to do so, no pressure…. The scariest thing was having to go along to the venue during the day to fit the models…I’d never done that before!! It was pretty chaotic backstage (which I now know is standard!) and as I had no prior knowledge of my models, it was a bit disconcerting that the girls came to me one at a time as I found it hard to decide who was going to wear what when I didn’t know who was coming next, & decisions have to be made based on sizing, hair colour, general look etc…but it happened & my rails of clothing was now all labelled up. Then came the boys – the guys all rocked up at once & again, a trifle disconcerting to be presented with 6 young & naturally good looking male models with the job in hand being to decide who was wearing which robe, who was keeping his trousers on & who was going with bare legs….a new but not unpleasant challenge! 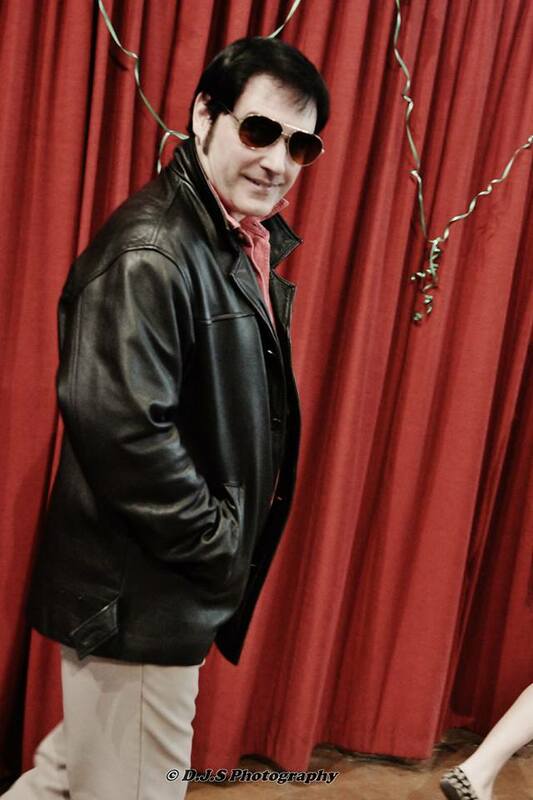 I was also pleased with my last minute decision to give the guys aviator glasses – it gave them an added swagger (which was picked up by reviewers afterwards) & who doesn’t look cool in aviators? I have to confess that I remained nervous after the fitting – I wasn’t convinced that I’d been successful in getting across to the girls how I wanted the items worn & I how I wanted them to work the accessories…it was a hot day for March & I voiced my concerns to hubby as we ate KFC by the river before heading home to get changed & dashing back to watch the show with my parents, eager to get there early for any potential networking opportunities & to get the best seats possible! 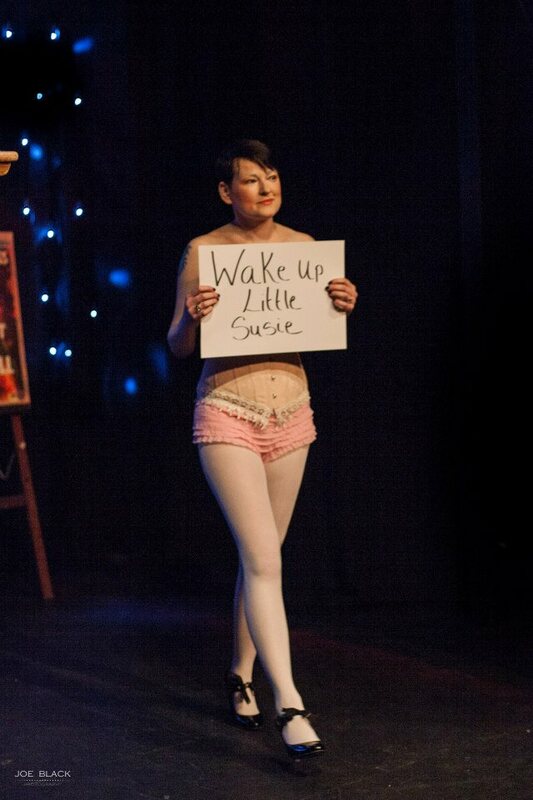 …and here comes the Wake Up Little Susie set! announced by ring girl Kate. 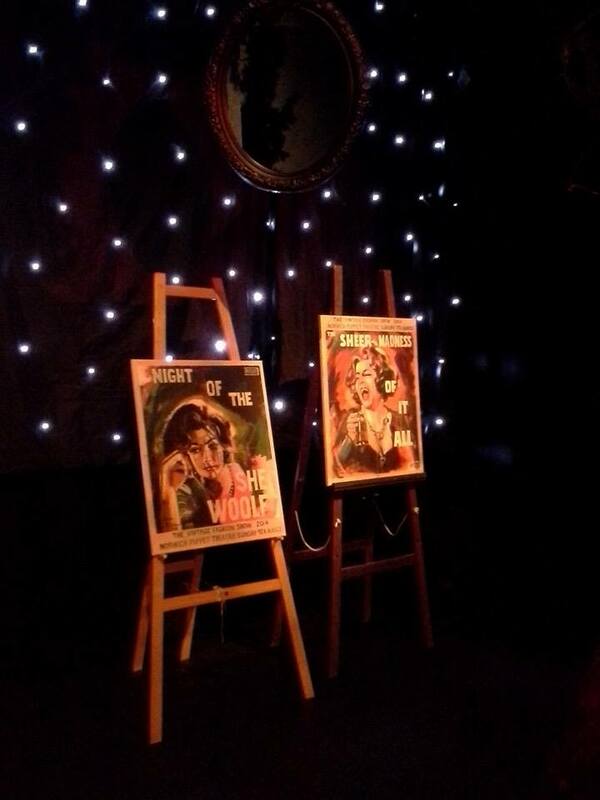 If you’re wondering about the paintings on the stage behind the models, helping to create the theatrical atmosphere? Well, they were created especially for the show by my husband Simon, Artbeat64 based on Elizabth Taylor’s performance in ‘Who’s Afraid of Virginia Woolf’. 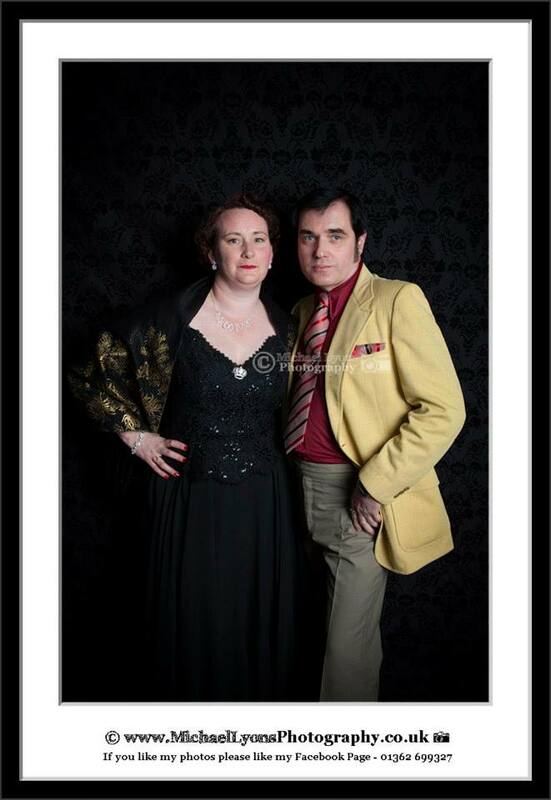 The most excellent Michael Lyons was there with a photo booth, a lovely idea & a great keepsake of the occasion. 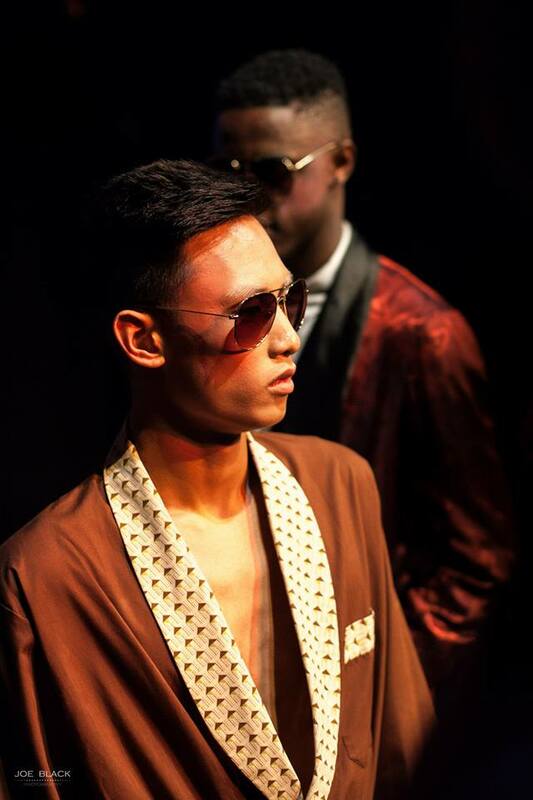 Next time we’re heading to NFW 2015, the year that I really OWNED IT with my oriental themed vintage nightwear collection!